The Fist is a very well known sculpture of Jeddah, Saudi Arabia. It was created by the French artist Cesar and is made of bronze. 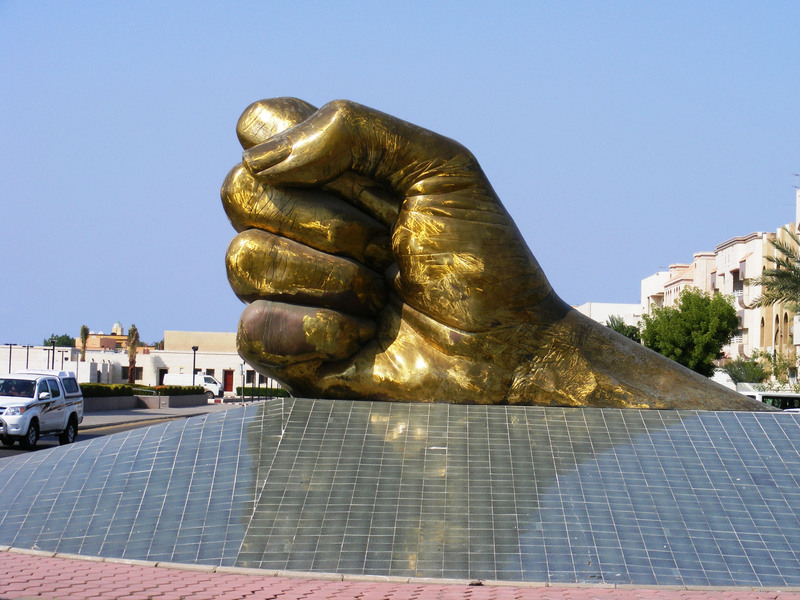 The Fist is located in the middle of a boulevard, like many sculptures in Jeddah’s large public open air art museum. Cesar was commissioned to create several works of art for the city’s immense beautification project. The Fist is a very powerful piece, symbolizing strength and defense. 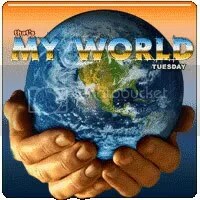 Take a peek at other people’s lives from all over the world by visiting That’s My World! This entry was posted in Art, Landmarks, Middle East, Photo, Saudi Arabia, Sculptures and tagged Art, Jeddah, My World, Sculptures. Bookmark the permalink. its really very awesome …… a beauty is present in this photo ….. i am really inspired by artist …..
My husband has just accepted a job in Jeddah and we will be relocating our family in May 09. I would love to talk with you a little more about what to expect if possible. I have two small children 8 and 2 and we have never left the US. I am excited and nervous all at the same time. Please contact me if you are available. Hi to One and All – I’m so glad to hear you liked this one. Thanks for commenting. Very powerful image. Great Blog. Susie: Sorry I missed this one, what a neat sculpture. I like public art spaces, a concept that has not taken off fully in the US. When I worked for a city in California they were starting to think in that direction but, that was the early 90s. This is a great piece and when you enlarge it you see all the details in the bronze. Great piece. That is a very powerful sculpture. Nice capture. I also like the museum building. Thanks for sharing. Am enjoying all the photos you are posting, not many of us get to travel to those areas and all the better when another blogger shows their view. Powerful is right. That sculpture makes a statement of strength like few other things could do. It has very realistic details, and is even more amazing at the enlarged photo size!